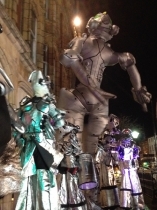 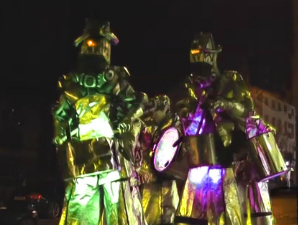 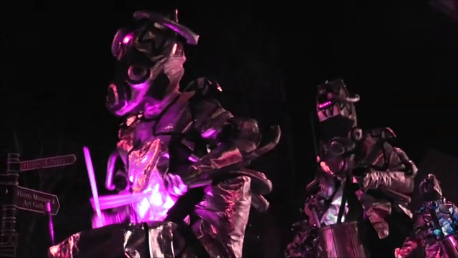 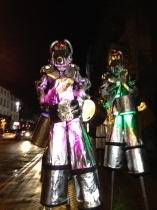 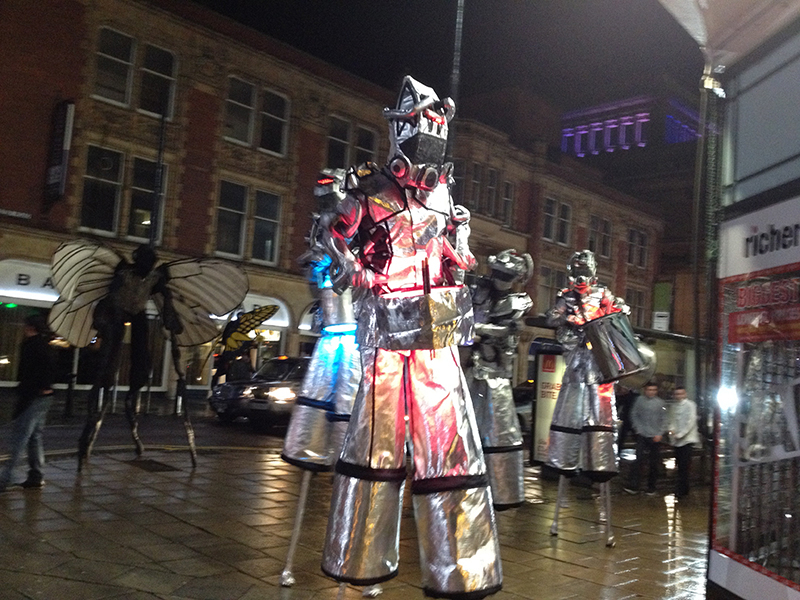 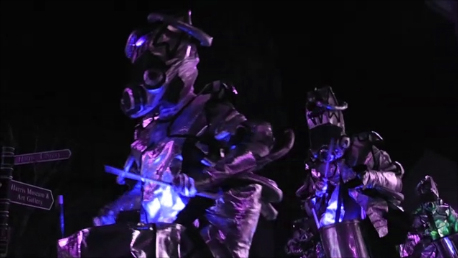 The Drumming robots have played in street festivals and parades world wide. 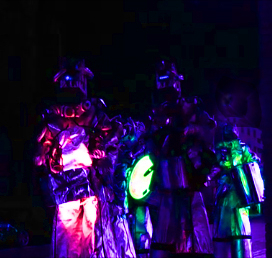 Here you can see them rebooted with new onboard lighting for evening performance, a very special performance that is large enough for everyone to see and enjoy. 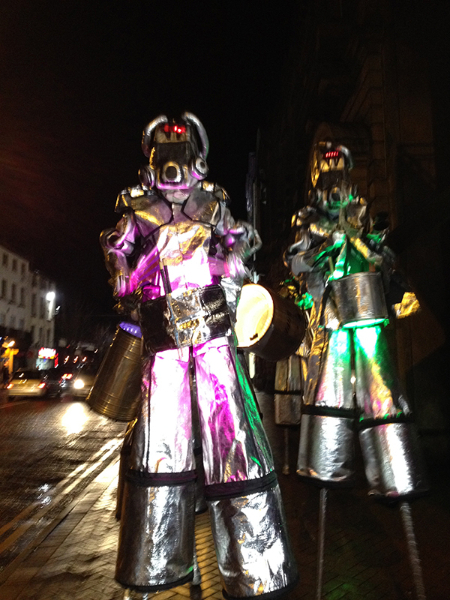 please see android invasions for more images and video of the drumming robots.